PMAKid: A couple years ago we got brand new math textbooks. Those books had some mistakes in them and we were finding really obvious probelms every week. I heard that other school districts sent their bad textbooks back to the publisher because there were so many mistakes, but we didn't. Why didn't we send the textbooks back or make the publisher pay the costs for extra materials. Jonathan Raymond: We actually did. In fact we were probably the first school district to get in touch with the publisher and they worked with us. We gave them the edits. They fixed the mistakes and they actually did supply us with a whole - they replaced all of our textbooks last year and materials. PMAKid: Yeah, I remember - 4th grade was my first year and there were some mistakes, but now I notice a lot less mistakes. PMAKid: I only notice - maybe - one every few months. Jonathan Raymond: I hope you tell your teacher. PMAKid: Before you became the Superintendent of the District, where did you work and what did you do? Jonathan Raymond: Well, I used to tell my kids who asked the same question that my job was to catch people doing good things. Really, that's pretty much what it was. We were trying to put in place a whole system of continually getting better, so my job was to find ways where we could find the good things that were happening and continue to expand those efforts, so it really was about catching people doing good things. PMAKid: Yeah, that's good. 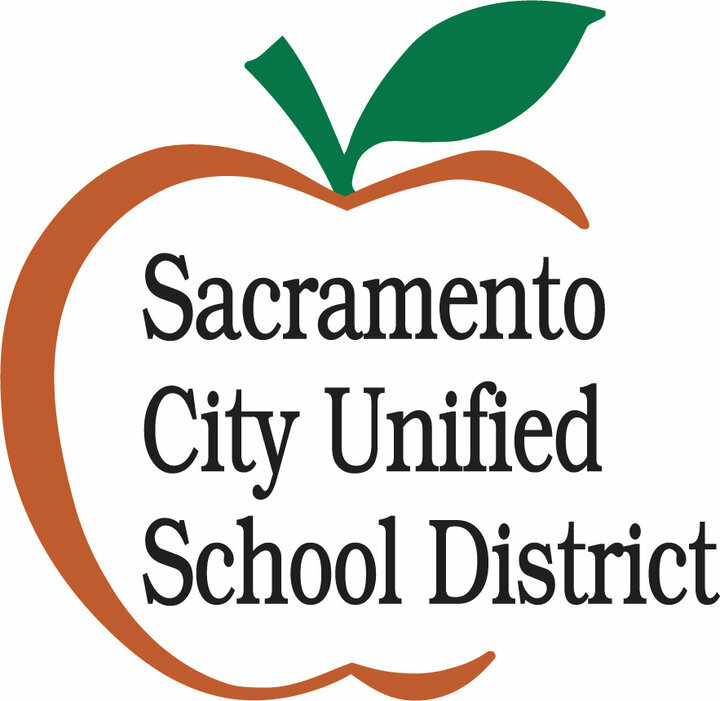 My school is one of the best elementary schools in Sacramento. Even with all of the schools having less money because of budget cuts, all the teachers and Dr. Eister do a really great job making sure that we kids learn. I know other schools are not doing as well. What can the other schools do so the kids at those schools learn as much as the kids at my school? Jonathan Raymond: I think it gets down to a couple things. One is making sure we have a really great Principal and that we are supporting that Principal and helping that Principal get stronger. The second is the same thing with the teachers - that we have great teacher sin all of our schools and that we continue to work and to support those teachers and to give them the tools that they need to be successful. What are the professional development programs? How do we get them working together and sharing? And then, of course, making sure that if there are specific things that they need, that we are able to support them and provide those things to them. PMAKid: In my interviews, I ask people about drugs and alcohol. Some people - like Toby morse - have never done any of that stuff. Other people - like Aram Arslanian, I don't know if you have read my website, but he's one of my interviews - used to have a drinking problem, but no longer have problems because they decided to be straight edge. How do you think kids can be taught to stay away from drugs and alcohol? What do you think parents can do better, and what do you think kids like me and my friends can do better if they see kids or adults who have problems with drugs or alcohol? Jonathan Raymond: I think we have to have honest conversations with our kids and we have to tell them the risks and the dangers of alcohol and drugs - how they can really ruin your life and your future and shatter your dreams. I think we have to be equally honest with our friends and not succumb to peer pressure just because we want to be liked or become a part of something. We have to be honest with our friends and tell them "look, you are going to hurt yourself - that these aren't good for you. There are better things to be doing then spending your time drinking and doing drugs." It's through those honest relationships and communication that I think we can all help each other. Be active and stay involved with a lot of interests. If you have friends that aren't interested in doing good things - or being part of something good - then find new friends. You can judge a person a lot by who they hang out with and who their friends are. So it's really important as parents that we watch who our children are associating with, and that we tell our kids "look, if you see things that are not right, let another adult know". PMAKid: Yeah, I remember when I was in second grade, I had a friend that lived across the street, and - he was one of my best friends - but his mom and dad did drugs and his family got torn apart because of it. It was bad watching it happen. Jonathan Raymond: So you learned an important lesson. PMAKid: I heard that the GATE program is going to change, and a lot more schools are going to have opportunities like GATE. Can you tell me more about that? Jonathan Raymond: We are moving towards a new curriculum, so there will be a separate curriculum - which is a series of text and materials. Jonathan Raymond: That our students - that our teachers will be using, so it won't be the same materials that are used in every classroom. They'll be more challenging. They'll be more demanding. They'll really push our kids. At the same time, we are going to be training our teachers who are going to be teaching this curriculum - really having GATE certified teachers. It's really going to be a step up, and we are also going to look at how we identify our children who are eligible to get into the program. It will be a ore rigorous way of identifying our children who are eligable for these programs. PMAKid: You got your job as the boss of the school district at a really hard time. There's a lot less money and programs had to be cut and some really cool teachers had to lose their jobs, even though they were really, really good. How do you stay positive when you have to face really hard decisions or when there are people getting mad at you? Jonathan Raymond: You know, I think it's a choice, right? Attitude is something that we can control. There are some things that I can't control, but the things that I can are my attitude in life and my approach. We use this as an opportunity to try to make some changes and to do things differently and it is really hard when we lose a good teacher or other staff. That is really the hardest part of the job. But the times are what they are. Are we going to make the best of it, or are we going to use the hard times as excuses? I won't choose to make the excuses. PMAKid: A lot of the people I interview do not get as much time with their families as they would like to because they are musicians who are on tour like Toby Morse or Kevin Seconds or professional baseball players like C.J. 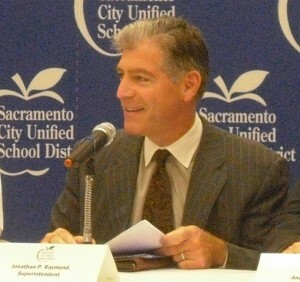 Wilson or politicians like Senator Steinberg. I bet that you have to go to a lot of meetings and don't get to see your family as much as you would like. How do you deal with that? Jonathan Rayond: That's a great questions and I think that it's - perhaps - the hardest part of my job, although I said the personnel is in the previous question. Yesterday, I left early in the morning and I had a school board meeting and I did not get home until after 11:00 PM. I left again early this morning to have an early meeting and I saw my kids for about 15 minutes in the last two days. That's hard. I try to make sure is that on the weekends - in particular - I really give my time, my enrergies and my attention to my family. It goes without saying that it's the quality of the time, not the quantity or how much time you have, so when I'm with my family, I really be present and I give them my full attention. I try not to bring work hoe and I try to stay away from doing weekend work events, so they know that they have me for the weekends. We try to enjoy our time together, and we have a lot of fun. We like to do things, to go places. Even if it is just watching a movie or a ballgame, we just really enjoy our time together. PMAKid: Alright, this is the last question. If you could have any job besides what you do now, what would it be? Jonathan Raymond: Wow! Any job? I think that I would like to be a broadway actor. I have always loved musicals. I love singing and dancing, although I can't sing very well. The thought of being in a broadway show - it would just be so cool.